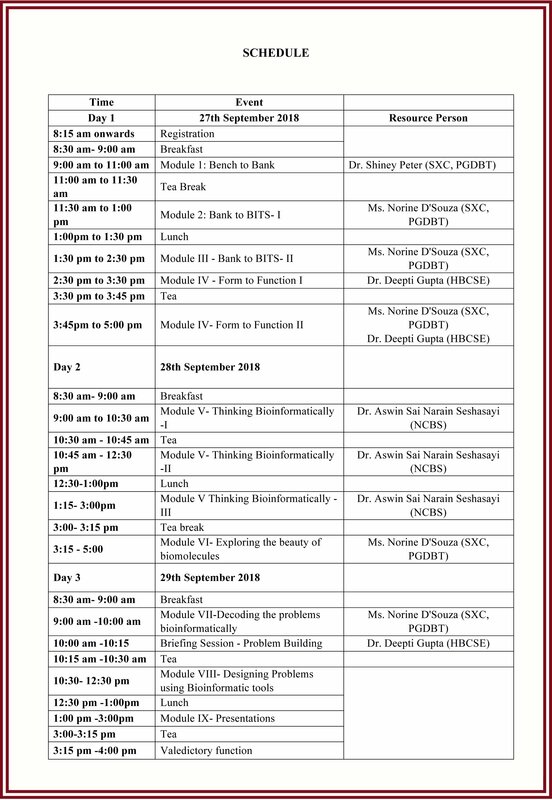 The workshop ‘Integrating applied Bioinformatics in the undergraduate lifescience curriculum’ is scheduled from Sep 27-29 at the Xavier’s Campus, Mumbai. This workshop has been structured as a series of hands-on problem solving sessions conducted by resource persons from NCBS,Bangalore, HBCSE and St. Xavier’s college, Mumbai. Listed on 24 Sep 2018.